Opportunity and fear must motivate leaders to pursue innovation as the ultimate differentiator. In world of abundant choice, the purpose of branding is to guide consumers a midst a dizzying array of alternatives. True innovation can be the most powerful differentiator of all. Rather than leave differentiation to marketers and creative people, innovation creates unique value by satisfying consumer needs in a way competitors cannot – creating an uneven playing field. Relentless entrepreneurial spirit is the driver of long-term growth – the “soul” of the enterprise. But innovation remains the exception in most industries rather than the rule. Two factors should motivate today’s leaders toward the path of innovation – opportunity and fear. Innovation makes competition irrelevant: When organizations operate on a competitive plane by bringing similar products to market, they compete only by making incremental improvements that are easily replicated or by decreasing their value. On the other hand, organizations that operate on the creative plane develop products that redefine their category, delighting customers with the unexpected, cementing emotional bonds and making competition irrelevant. 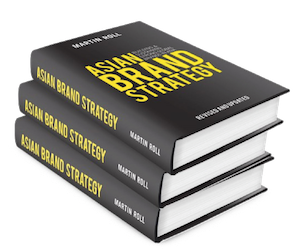 Many markets are ready for companies with new ideas: For brands that look to expand globally, Asian consumers offer an exciting opportunity. Nielsen has found that Asia-Pacific consumers are more likely to try new products than anywhere else in the world meaning brands that consistently do something different can thrive. For the majority of Asia that is low-income, opportunities exist for brands that can intelligently address differences between rural and urban consumers and create markets where infrastructure is limited. Distribution networks that bring recycled television sets from urban areas to rural retailers – for example – or the manufacturing of bamboo & cardboard bicycles are prime examples of both process and product innovation. Price competition is the enemy of differentiation in a global marketplace: Companies become great by getting better before they get cheaper; by placing higher revenues ahead of lower costs. As economic development everywhere erodes low-cost advantages, only a small minority of executives think their low-cost will still be an advantage in three years’ time. With increased pressure on margins, companies must shift from the old paradigm (cost advantage) to a new paradigm (design and innovation) in order to grow. Brands that look to expand outside of domestic markets for growth must become known for innovation. Panasonic, Samsung and Toyota all made the choice in their development to do things better, not cheaper. Being different is the reason that supports the case for paying more. Apple, L’Oreal and LVMH are other examples of brands which went far thinking differently. The biggest mistake of successful companies is complacency: The troubled path of a once-great company often starts with a high dose of success. As managers focus on efficient execution of strategies that brought them success and minimising share price volatility by focusing on short-term goals, an extended period of mediocrity sets in. Eventually, complacency is replaced by urgency when competitors gain ground. Rarely does true innovation result from urgency – especially when management is driven to protect what it has become attached to. Scale no longer provides insulation from market forces: History has shown that every monopoly comes to an end as structural & technological realities change over time. At faster intervals, we are witnessing giants fall while billion-dollar companies ascend. Upstarts can now get access to cloud infrastructure, outsource manufacturing and crowd-fund capital while venture capitalists everywhere seek new ideas to put their resources behind. Very few industries still have significant barriers to entry. Due to financial constraints, smaller companies make the most dangerous competitors. Forced make smart choices with limited resources to carve out a niche, constraints can drive small companies to create disruptions that topple giants. Copy-based strategies may keep you in business, but will erode brand value unless true innovation takes place: In most industries, survival hinges on a cycle of product, service and process mimicry – one company crystallizes a unique offering, then everyone rushes to duplicate it. Why work so hard at innovation when it can become commoditized so quickly and first-mover benefits last shorter and shorter? For the answer, look to Apple – beloved for over a decade for creating products consumers never knew they wanted. Even as Samsung whittles away at Apple’s leadership with what many first-time buyers consider superior devices, Apple customers remain some of the most fanatical. This earned brand loyalty created by past innovation gives Apple a powerful buffer that may allow precious time to fend off rivals. There is also massive risk in the fast-follower strategy. If a competitor misses the mark or reaches the market too late to make a meaningful impact in the minds of consumers, the brand may never recover. Look no further than the current mobile offerings of Windows and Blackberry. It is far better to strive for leadership through innovation than miss just once as a fast-follower. No matter what motivates today’s business leaders to create a culture of innovation – whether fear of failure or drive to capitalise on opportunities – it has become a modern business imperative constantly pursue radical new ideas. Game-changing innovation is the ultimate differentiator.